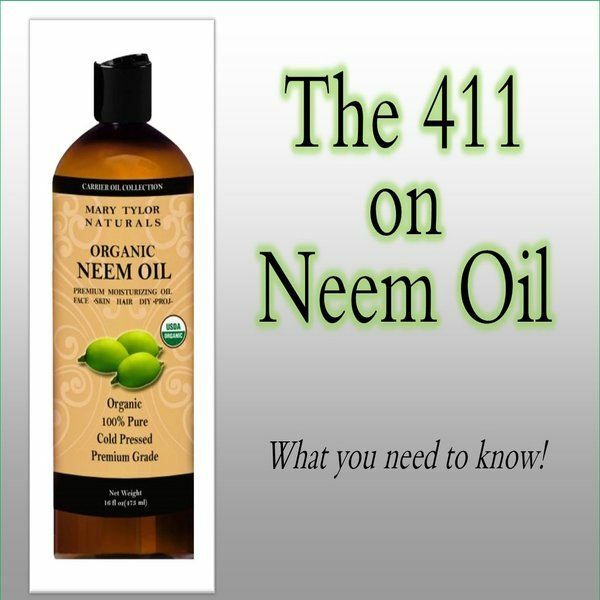 The 411 on Neem Oil? The Azadirachta Indica or Neem Tree is a native evergreen tree found in Iran, India, Nepal, Pakistan, Bangladesh, Sri Lanka, and Maldives. This plant is harvested and made into an oil from the seeds and tree leaves. Neem oil is usually created by crushing the seeds through a cold press. Neem has been used for many holistic healing purposes. It contains many healthy compounds such as triglycerides, Omega-6, Omega-9 and Omega-3. It is widely regarded as being an antiseptic, antifungal and has antihistamine properties. 1- Natural Pesticide. Azadirachtin is the chemical produced from neem oil, which naturally repels insects. Amazingly, it interferes with certain insects’ body systems, inhibiting their ability to eat and reproduce. For example, when exposed to Neem, roundworms also known as nematodes lose their ability to breed. Neem oil has been used for centuries as a natural pesticide and is a main component in hundreds of bug repelling products. 2- Pet Care. A diluted neem oil solution can be used as a natural soap or shampoo for pets to keep fleas, ticks, and mites away from your furry friends. It is safe for both indoor and outdoor pets. Neem can naturally protect outdoor animals such as horses from biting flies and mosquitos. Cats, dogs and hamsters can find relief from flea and mite bites as well. It is non-toxic to all animals except for fish/aquatic creatures. 3- Gardening. We all know the dangers of toxic exposure to pesticides. Neem oil can help you protect your garden from pests, naturally! As previously mentioned, Neem impacts the insect’s body systems, so it is not an instant bug killer. It should be used to prevent infestations and will take time to eliminate the insect population in your garden. This is a great holistic alternative to dangerous pesticides such as roundup. 4- Skin Care. The use of Neem is common in cultures such as those who practice Siddha and Ayurvedic belief systems. It has been used to naturally treat psoriasis, lice, eczema and scabies. It is also a main ingredient in the beauty and hygiene products produced and manufactured in India. 5- Internal Uses. There is conflicting information on whether neem can be taken internally as a medicinal compound. You should never start or stop taking any medication, supplement or herb without first checking with your healthcare provider. Neem oil is so concentrated it is not recommended for internal use, ever. However, ingesting neem in the form of tea or capsules has been a common holistic healing practice to treat problems such as high blood sugar in type two diabetes and being used as a natural spermicide/contraceptive. Never take any supplement without carefully researching the benefits and the risks! Mary Tylor Natural’s is proud to offer a premium neem oil product to help you naturally keep pests away and we do not recommend the oral intake of our Neem product. We are here to offer you Better Ingredients for a Better Life!